You can allow yourself or give to someone a special day on board of one of our catamarans. Would you like to organize an unusual party? Would you like to astonish your friends or someone special? 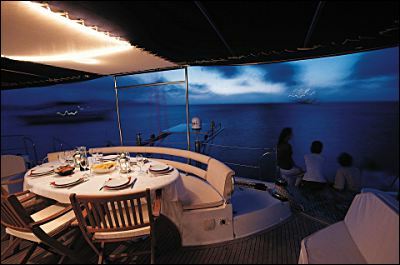 You can rent a wonderful catamaran to celebrate a special event with your friends. You can take a drink on the sea in front of a marvellous sunset. Contact us and we will offer to you exclusive service and exceptional prices. Rosa dei Venti Charter offers to all its customers the possibility to rent a sailing boat, with a large choice be..
Rosa dei Venti Charter offers to all its customers the possibility to rent a sailing catamaran, with a large choi..
Rosa dei Venti Charter offers the possibility to pass an entire weekend on a sailing boat. Rosa dei Venti Charter offers to all its cu..
Rosa dei Venti Charter offers the possibili..